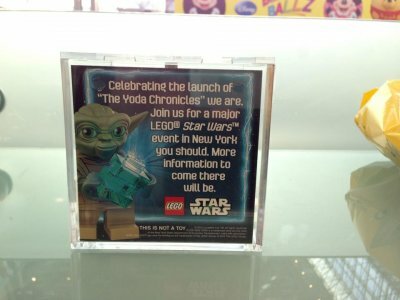 To celebrate the launch of the Yoda Chronicles, LEGO gave out a mini New York City diorama complete with several easter eggs and a Yoda minifigure holding a "Yoda Chronicles" newspaper with a "be here May 2015" headline. On the back is an announcement referencing a launch event in New York. The limited edition goodie is limited to only 150 pieces. 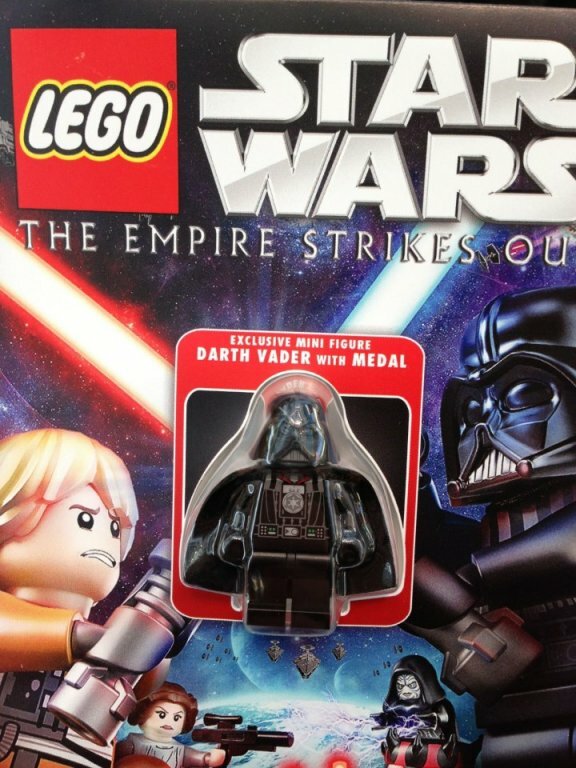 Also in the swag bag is a Darth Vader with medal minifigure with the announcement of the release of The Empire Strikes Out on DVD March 26th. The minifig will also be included with the DVD. 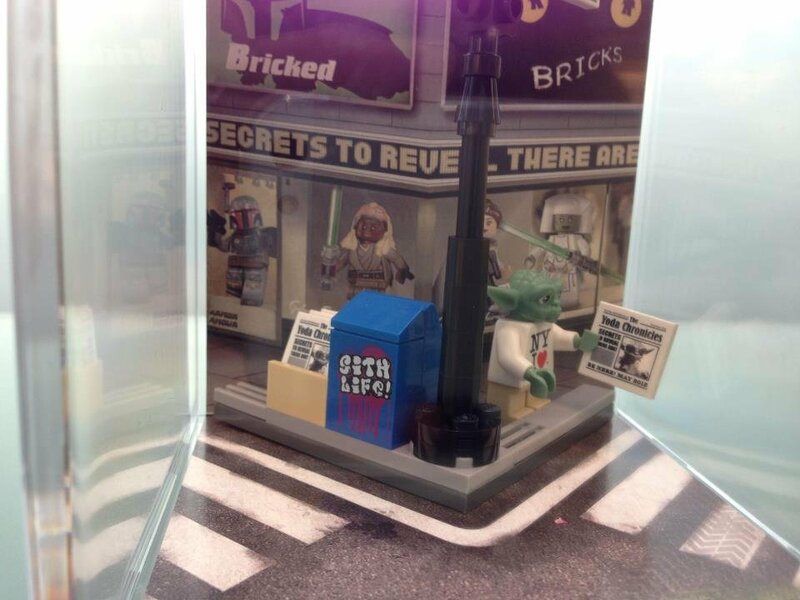 Stay tuned for photos and our LEGO report coming up!